DULUTH, Ga.–(BUSINESS WIRE)–Primerica, Inc. (NYSE:PRI) announced it is hosting more than 700 top representatives from across the United States and Canada for its Senior Leadership Meeting in Indianapolis on January 4-5, 2017. The event will focus on sales force and client initiatives for 2017, in addition to celebrating Primerica’s record-breaking success in 2016. Ongoing efforts to expand distribution resulted in the company ending the year with a sales force of 116,827 life-licensed representatives at December 31, 2016, a year-over-year increase of more than 9%. “Our field force is the most important factor of our success, and I am proud of the leadership provided by our representatives and their outstanding performance. I look forward to the accomplishments of the coming year,” says Williams. 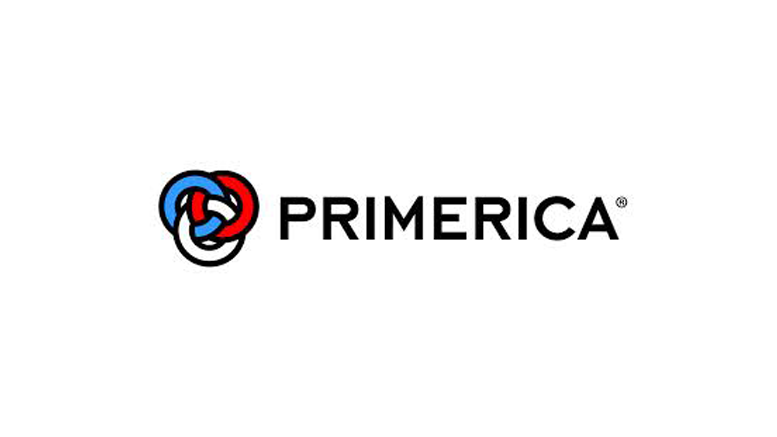 Primerica will hold a webcast Thursday, February 9, 2017 at 10:00 am ET, to discuss fourth quarter 2016 results. The news release announcing these earnings results will be distributed on Wednesday, February 8, 2017, after the close of the market (the release and a detailed financial supplement will be posted on Primerica’s website). Investors are encouraged to review these materials. To access the webcast go to http://investors.primerica.com at least 15 minutes prior to the event to register, download and install any necessary software. A replay of the call will be available for approximately 30 days on Primerica’s website, http://investors.primerica.com. *Compensation paid to the sales force reflects combined U.S. and Canadian dollars remaining in the local currency earned by the representative. Exchange rates fluctuate daily. Except for historical information contained in this press release, the statements in this release are forward-looking and made pursuant to the safe harbor provisions of the Private Securities Litigation Reform Act of 1995. Forward-looking statements contain known and unknown risks and uncertainties that may cause our actual results in future periods to differ materially from anticipated or projected results. Those risks and uncertainties include, among others, our failure to continue to attract and license new recruits, retain sales representatives or license or maintain the licensing of our sales representatives; changes to the independent contractor status of our sales representatives; our or our sales representatives’ violation of or non-compliance with laws and regulations or the failure to protect the confidentiality of client information; differences between our actual experience and our expectations regarding mortality, persistency, expenses and interests rates as reflected in the pricing for our insurance policies; the occurrence of a catastrophic event that causes a large number of premature deaths of our insureds; changes in federal and state legislation, including other legislation or regulation that affects our insurance and investment product businesses, such as the DOL’s regulation defining who is a “fiduciary” with respect to transactions involving qualified retirement plans; our failure to meet RBC standards or other minimum capital and surplus requirements; a downgrade or potential downgrade in our insurance subsidiaries’ financial strength ratings or our senior debt ratings; the effects of credit deterioration and interest rate fluctuations on our invested asset portfolio; incorrectly valuing our investments; inadequate or unaffordable reinsurance or the failure of our reinsurers to perform their obligations; the failure of, or legal challenges to, the support tools we provide to our sales force; heightened standards of conduct or more stringent licensing requirements for our sales representatives; inadequate policies and procedures regarding suitability review of client transactions; the failure of our investment products to remain competitive with other investment options or the change to investment and savings products offered by key providers in a way that is not beneficial to our business; fluctuations in the performance of client assets under management; the inability of our subsidiaries to pay dividends or make distributions; our inability to generate and maintain a sufficient amount of working capital; our non-compliance with the covenants of our senior unsecured debt; legal and regulatory investigations and actions concerning us or our sales representatives; the loss of key personnel; the failure of our information technology systems, breach of our information security or failure of our business continuity plan; and fluctuations in Canadian currency exchange rates . These and other risks and uncertainties affecting us are more fully described in our filings with the Securities and Exchange Commission, which are available in the “Investor Relations” section of our website at http://investors.primerica.com. Primerica assumes no duty to update its forward-looking statements as of any future date. Be the first to comment on "Primerica Announces Senior Leadership Meeting in Indianapolis to Kick off 2017"